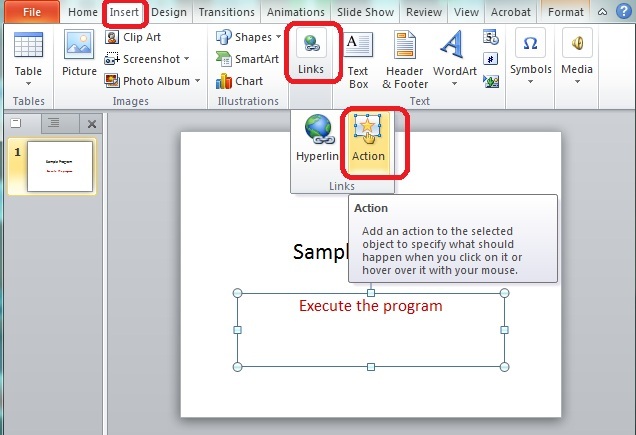 Today we are going to speak about a simple tip that lets you to run or launch an external program directly from Powerpoint presentation. It means, you don’t need to quit the presentation mode to launch any program. There are couple of advantages in doing so, the first one is: you can save your presentation time. The second one is, you can launch the program directly from your presentation to show some real time examples without diverting or distracting the audience. Note: I am going to use Microsoft Office 2010. 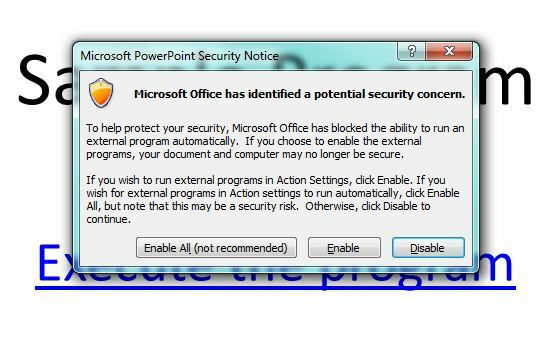 But the below steps should work on Office 2013 as well. Step 3: In the “Action Settings” dialog, select “Run program” radio button. 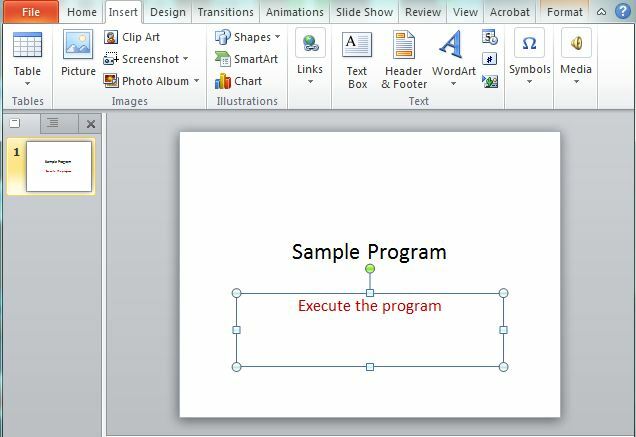 Step 4: Browse and choose the program that you wish to launch during the presentation . 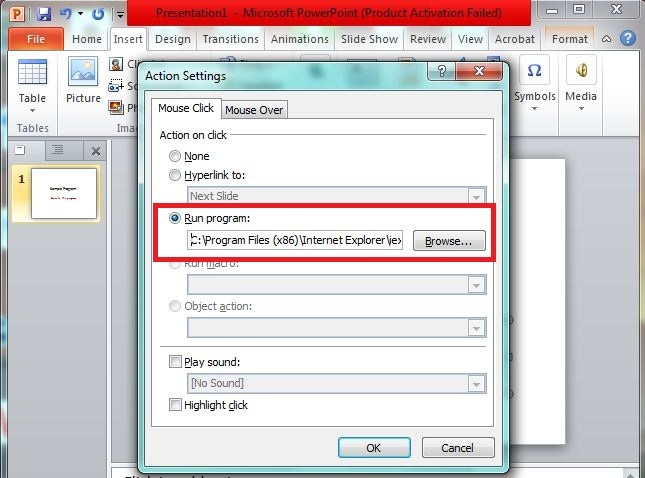 For the demonstration purpose, I will select Internet Explorer. Step 5: You can also choose to pass any arguments to the program as below. For instance: C:\Program Files (x86)\Internet Explorer\iexplore.exe http://techglimpse.com. Upon clicking the link, windows will launch Techglimpse.com in Internet Explorer. You are done now. During the presentation, you can just click the link to launch the program directly from the slide, without skipping the presentation mode. Windows might warn as below. Just click “Enable All“. Also Read: How to arrange Excel Workbooks side by side or horizontally?